Index Page will stay open for 60 seconds, then succeeding pages from Slide Show at left will change every 5 seconds. You may click any image in Slide Show for larger view. Hover over each image to identify that image. When I first came up with the designs of the Reflections of Antiquity Collection, my intention was to reach back into the days when jewelry was first being made. Many of the original rings of the early Egyptians, Greeks, and Romans were reversible seal rings. That is, the ring spun on an axis to reveal a carving that was then used with sealing wax to place one's personal seal, symbol, talisman, or logo, so to speak on correspondence or official documents. 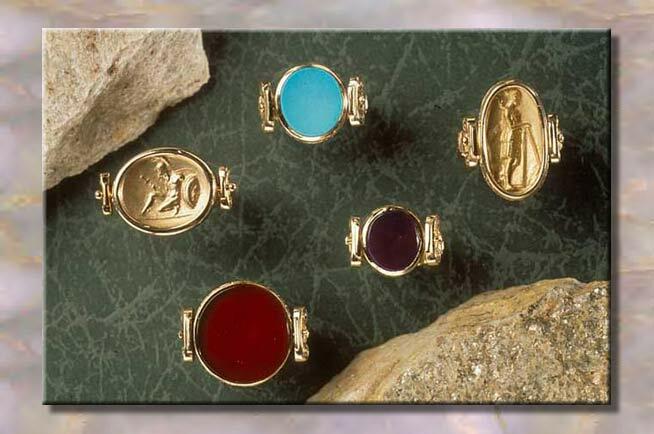 Quite often these seals were made of carvings in the finest Gemstones of the era such as Lapis Lazuli, Turquoise, and Carnelian Agate. The reason Carnelian was used so extensively in personal seals of the Ancients as well as right up to current day is because Carnelian has the peculiar characteristic in that it does not stick to wax. Therefore, one could press their seal into wax and lift it out to come away with a perfectly clean impression of the carved intaglio. 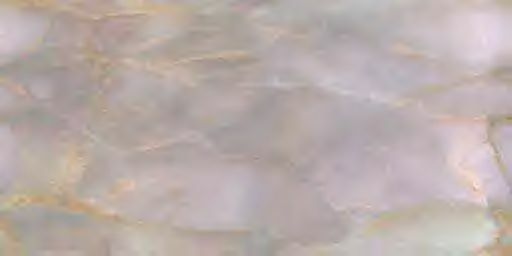 Intaglio means carved in, as opposed to a Cameo that is carved out in Bas-Relief. Part of the great appeal of this Collection is the fact that having a ring that is reversible makes it so versatile. You can wear it different ways on different days. And this versatility is compounded by the result gained when I cut holes in the back of the shank of these rings. They can then be worn 4 different ways, as a reversible ring and as a reversible pendant. If you scroll down the slide show on the left about mid way, you will see a Turquoise Ring that has been made to be worn on a chain as a Turquoise Pendant, remembering that on the front side of the ring or pendant is your choice of Greco Roman Mythological character. With the holes in the back of the shank, when you're wearing the ring, no one but you knows that they are there, and they don't affect the strength or structure of the ring. And there is no extra charge for it. You just need a chain to fit and I can help you there. I guarantee you that when you wear these pieces and show the reversible ring or pendant function, that 9 out of 10 people will move their head in a backwards motion and say, "Ooh". This Slide Show presents a good selection of Gemstones that can be used for the reversible pieces in the Reflections of Antiquity Collection.